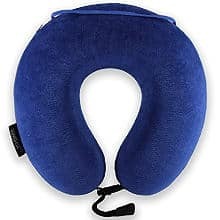 Finding the best neck support travel pillow can be really easy if you see how many effective and good quality options there are when it comes to choosing a neck support pillow. 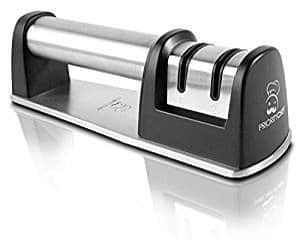 There are many different varieties to choose from, sizes and designs making it a really handy product to have not only when traveling but even when working at home or watching TV. So, let´s see some top reviewed travel pillows here. The J-pillow for travel has been a winner of the British Invention of the year 2013 and, according to the manufacturer, itgathers more than 10,000 reviews on Amazon worldwide. 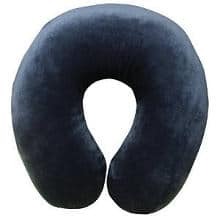 This is an odd shape neck pillow compared to the conventional pillows and can be used in different ways to help you sleep and even used for lower back support. It is more effective when you use it in the window seat rather than in the aisle or middle seats. It is also very hygienic, you can put the whole pillow in the washing machine and not just the cover. It can be tumble dried on low heat or air dried for a firmer support. Very easy to carry, it can be squeezed down and fit in a small area or you can just use the snap loop to fasten it to your hand luggage. 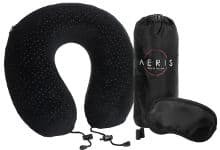 The Aeris Memory Foam Travel Neck Pillow with Sleep Mask comes with earplugs and a carry bag. It is only available in black color and made of high quality memory foam. This visco-elastic temperature-sensitive material moulds to the contours of your own neck to give you the maximum support and is covered in a removable machine washable plush velour cover for an easy clean. The ventilation holes in the pillow offer a good airflow and prevent it from getting warm while the foam is aerated for 7 days before manufacturing to eliminate any odor of new foam. 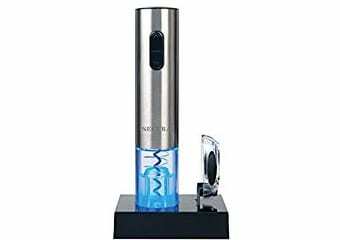 This can be an excellent quality gift for any occasion and the company offers a lifetime free replacement guarantee. 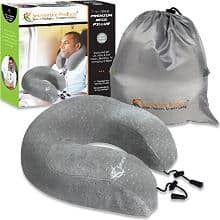 The Travelmate Memory Foam Neck Pillow is a new improved version which has a built-in removable insert so you can adjust the thickness of the pillow. It is made of high quality memory foam which molds perfectly to your neck (Size: 11 x 12 x 3.8 inches). It is very convenient to wash and comes with a zippered plush velour cover. 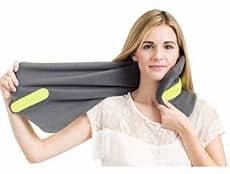 It also has a built in elastic strap which can be attached to your carry-on luggage, making it a great neck support pillow for travel as well as home use. 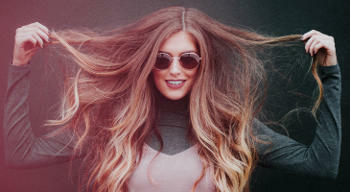 The company offers a ¨no questions asked¨ 30 days full refund if you are not happy with the product. The Trtl Soft Neck Support Travel Pillow comes in 4 colors and gets some good reviews by the consumers. It is not a like a conventional u-shaped pillow but more like a scarf which wraps around your neck and holds the neck in an ergonomic position. 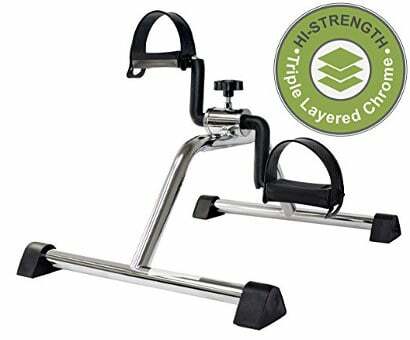 It is much smaller than the usual pillow which makes it easy to carry and holds the neck in a comfortable position without the need to lean against the seat for head support. 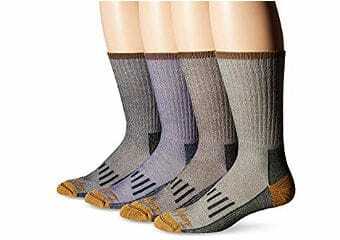 The support system has a soft, hypo-allergenic polyester fleece for warmth and maximum comfort. The company also offers a full money back guarantee. 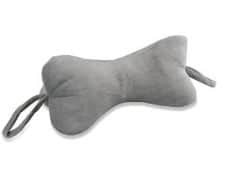 The NeckBone Chiropractic Pillow by Original Bones is made of soft, machine-washable fabric and filled with hypoallergenic polyester. It comes in different colors and the price seems to be quite reasonable. Also, the number of reviews indicate that it is a popular choice among consumers. The reviews are well above average for this neck pillow. The product dimensions are 14.5 x 6.5 x 6.5 inches and the fabric consists of polyester 65% and cotton 35%. In addition, it has a zippered access for adjusting the required support and side handles to make it convenient for you to place it. The Cabeau Evolution Memory Foam Travel Neck Pillow comes in a large variety of colors and offers 360 degrees of head and chin support. This travel product is constructed with high-quality memory foam and comes with foam ear plugs for an undisturbed sleep. It can be easily washed to give it a fresh feel. The water repellant travel bag is a convenient feature to store it away when not in use. It compresses down to a much smaller size to fit in your luggage and has a convenient media pouch to hold your phone or MP3. The Comfortable Travel Pillow gets fantastic ratings and a huge number of reviews. Clearly, the consumers like this product and the company is so confident about its quality that they offer a 5 year guarantee. 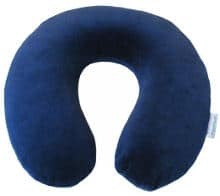 The company also claims that this is scientifically tested to be the ideal neck pillow for those suffering from chronic neck, shoulder, or upper back pain. It can be used for sleeping, relaxing at home or office, and is perfect for traveling. Moreover, it is made with high quality thermo sensitive memory foam and will comfortably mold to your neck. It is very easy to clean and the elastic strap can be attached to your luggage making it easy to carry. The dimensions are: 12 X 11.5 X 3.5 inches. 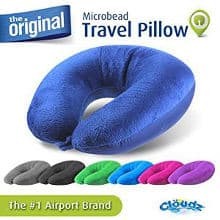 The Cloudz Microbead Travel Neck Pillow comes in 6 very attractive colors, however, some of them are a bit too bright for my taste. It is filled with premium Comforlite Microbeads which mold to the contours of your neck, giving you maximum comfort. The company uses very high quality beads to prevent them from crushing, as it happens in some of the other pillows in the market. It has a soft plush on one side and relaxing spandex on the other. I like the snap closure feature which prevents the head from falling forward if you are traveling. 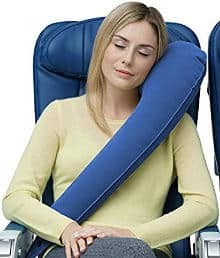 This pillow can be easily snapped to your luggage and the company offers a guarantee if you are not satisfied with it. The Travelrest Ultimate Travel Pillow is an inflatable neck and lumbar support pillow. The company claims that this is the only pillow that provides full lateral support for the upper body making it easier to relax and fall asleep. Its shape does look different from the conventional neck pillows and will prevent the head from falling forward.They show you an instructional video for correct usage. It also inflates easily and deflates instantly making it convenient to store in a small packing space.It easily loops over headrests in the car and the airline seat. Finally, it comes with a zipped microfiber cover which is soft and removable for washing. 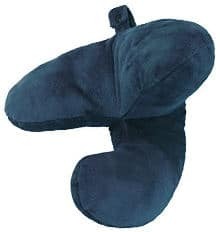 The Classic Brands U-Shape neck travel pillow is made of memory foam and comes in one color only. It snaps easily on to your hand luggage and the dimensions are 11x11x3.5 inches. I came across some comments of people saying that there is a strong smell when you remove the plastic. However, they also added that once you air it for a couple of days, the smell disappears. Overall, the reviews are somewhat mixed with lots of people loving this pillow and others saying that it is better as a sleep pillow rather than a travel pillow. 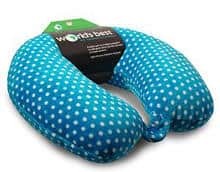 The Kohbi Ultimate Travel Bliss Neck Pillow is ideal for travel and as a car pillow. The cover is made of good quality plush knitted fabric which is easily washable. This product is ergonomically designed to fit your neck giving a firm but soft support, and makes a perfect gift for your loved ones at an affordable price. It has a convenient snap to hold it in place and to attach to your hand luggage as well as a snap closure to stabilize the pillow for good support. It is also backed up by a lifetime ¨no questions asked¨ replacement and a 5 year 100% Money Back Guarantee. 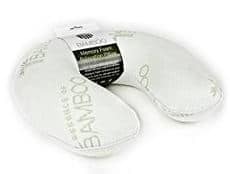 The Essence of Bamboo Travel Neck Pillow is made of premium memory foam with a removable bamboo cover. The company says that their advanced bamboo fiber should keep you cool. Some pillows in the market generate lots of heat which can be annoying. It measures 14 x 13 x 4 inches and is only available in white color. The cover is zip off for an easy wash. In addition, the tube measures about 4.5 inches which some people find to be a bit too big. However, the overall reviews couldn´t be better with lots of consumers really loving this pillow. The Critter Piller Kid’s Neck Pillow comes with the face of different animals like Lion, Hippo, Cat, Dog and more, a really vast variety available to pick any favorite of your child. This pillow is meant to be for children and the size is accordingly. The company recommends it for children over 3 years of age. It is made of feather-soft microfibers wrapped in soft-plush fabric for traveling in the car or plane. It also has an environmentally friendly filling and packaging. The manufacturers use recycled materials like water bottles which are transformed into a soft micro-fiber filling. The zipper tab is removed for child safety reasons. 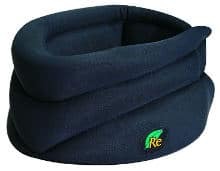 The Caldera Releaf neck rest pillow is available in black color. It is very lightweight and compact, designed for a comfortable travel or even if you are reading or watching TV. The style is different compared to the traditional pillows. As you can see in the picture, it´s a wrap around the neck pillow. You put it from the front and fasten it at the back of your neck. It will also prevent your head from rolling forward if you go to sleep in a sitting position. 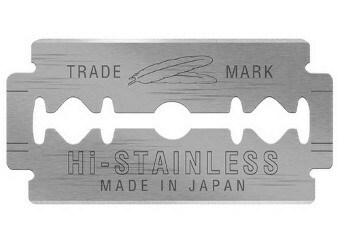 The product dimensions are3.2 x 4 x 6.2 inches. 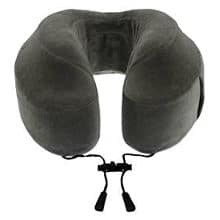 The Lewis N. Clark adjustable and inflatable neck pillow is a great product made by this reputable company which specializes in other products for travel and home use. This product is made of polyester and the dimensions are 11 x 7 x 3 inches. It can be inflated with just a few breaths and it´s easy to adjust the air by using the valve. The cover is made of a soft polyester jersey material,which will feel smooth against your skin, and you can easily unzip it for washing. The pillow can be folded compactly into its polyester storage pouch which is provided, making it easy to store in your handbag, suitcase, backpack, etc. 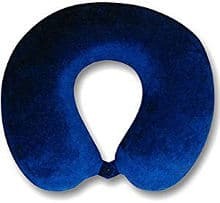 This Travel Neck Pillow is a U-shape design to fit all neck sizes and you have an option to choose the color you prefer. It is made of luxurious memory foam and contains eco-friendly materials and processes. It has a ventilated jacquard velour cover which breathes and ensures a luxurious feel. The drawstring, which is detachable for additional comfort, is a handy feature for a good fit. This product is available in 3 colors: Soft Pearl Gray, Crimson Sky Red and Deep Sea Blue. It also comes with a matching color travel sack. The height is just right to accommodate ear buds and headphones and the company offers a 100%satisfaction guarantee. The Purefly Velvet Neck Support Travel Pillow is inflatable and has quite a unique feature of pumping air. It has a built in push button and you can inflate the pillow just by pressing it repeatedly. You can do that without removing it from your neck so you know exactly how much air is needed to get you in a comfortable position. In order to release the air, simply push the double sealed black air valve given on the pillow. It is manufactured with very soft, micro-velvet fabric which is lightweight and you will feel the quality after using it. The cover is removable and washable. After using the pillow, you can deflate it and pack it in the sack which comes with it. The Mini Neck Pillow is a mini size pillow which makes it very handy to travel. The dimensions are 6 x 6 x 6 inches. It comes in many colors and designs. The polka dot design is well liked by the consumers. In addition, it is made with feather soft microfiber and filled and finished in the USA. It is hypoallergenic and the entire pillow is machine washable for your convenience. It is sold at an extremely good price and attracts very high ratings by the users. 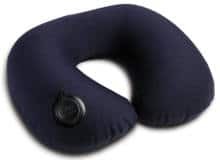 The Travelrest travel neck support pillow is made from special thermo sensitive memory foam for a maximum neck and head support which molds nicely to the contours of your neck and shoulders. It has an adjustable drawstring to fit as required and prevents the pillow from slipping or moving. You can easily attach it to your luggage and it´s great for traveling as well as lounging or working at your computer. Its dimensions are11 x 12 x 3.8 inches. The company, finally, offers a 2 year warranty in case you have any problems with the product. 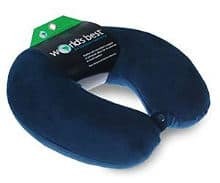 The soft neck pillow by World´s Best is made of feather-soft microfibers wrapped in soft plush fabric for the ultimate travel comfort. It is hypoallergenic and provides an alternative to down filled pillows. 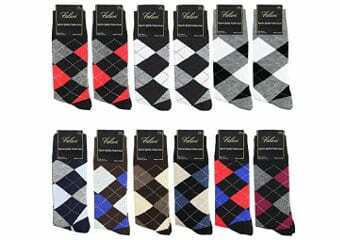 It is machine washable and the company guarantees that it will remain soft and comfortable. Both the filling and the packing are environmentally friendly. It is made of recycled materials which are transformed into the filling of this pillow. Filling and finishing all done in the USA. Also, you get a vast variety of colors to pick from and it comes at a very reasonable price. 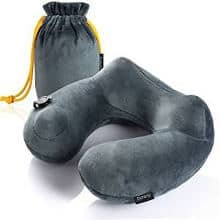 All in all, these are some great neck support travel pillows to choose from and make your traveling a lot more relaxing and comfortable.